Time was running out to find an internship when Ana Verley got a call that a spot had opened up in the Rio Grande Valley’s Mothers Against Drunk Driving chapter. Completing the internship stood between her and a criminology degree, and she jumped at the opportunity to intern as a victim advocate. 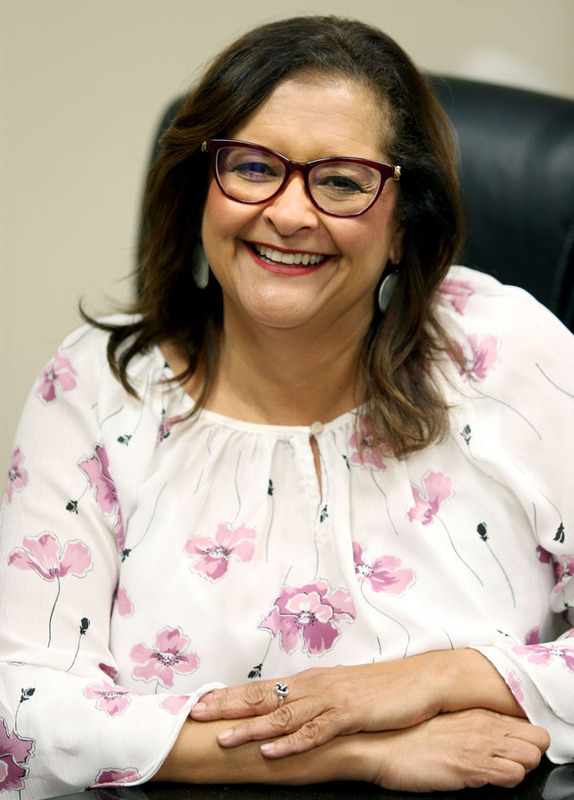 Nearly two decades later, Verley is still with the nonprofit organization as the victims services specialist for the Valley and other South Texas counties. She assists victims of drunk driving navigate the criminal justice system and access a range of community resources. When she started almost 18 years ago, Verley didn’t know what she was doing. The previous advocate had just left, and she was the sole employee of a chapter that had only been around for a little more than a year. None of that was apparent though to Linda Perez, the first person Verley worked with. “Ana stepped right in and I would have never known I was the first one and she was winging it,” Perez recalled. Verley said Perez’s case was one of the more difficult ones she’s worked on. They had to fight to get charges filed against the driver that struck Perez while she was riding her motorcycle home in 2001. That driver was the late Javier Rodriguez, the Elsa municipal judge at the time who went on to serve as city manager. A jury convicted Rodriguez and sentenced him to six years in prison, but the legal ordeal wasn’t over because he appealed. And Verley, who sat through the trial, went with Perez when the 13th Court of Appeals heard oral arguments on the case. The appeals court upheld the conviction, but the relief turned quickly to frustration when he was released from prison on shock probation after serving only six months. Despite the challenges of her job, Verley’s tenacity has allowed her to thrive. She has developed a network of community partners she can turn to when someone is in need of housing assistance, or help putting food on the table, and she is well known around the Hidalgo County Courthouse and among the Valley’s many law enforcement agencies. Last year alone, she provided services to 115 new victims and continued supporting approximately 200 people. She also launched MADD’s Victim Impact Panel program in Hidalgo County, a requirement for first-time offenders sentenced to probation or jail time for alcohol-related offenses. During the monthly panels, survivors of drunk driving crashes and their family members speak about how their lives have been affected by the crash. It was Verley’s devotion that caught the eye of Reita Hill, the former grant administrator for MADD Texas who hired Verley on the spot. “She has that word that’s called passion, and her passion is the most prevalent thing that you can see when she’s working with other people,” Hill said. Perez also remembered how when Verley would visit her as she was recovering from her leg amputation, Verley would help change Perez’s grandson’s diaper. Knowing that at the end of the day she may have helped “ease someone’s pain and brought them a little peace in their time of grief” makes any of the roadblocks and frustrations worth it for Verley, who has funneled this same passion into her work with the Children’s Bereavement Center of the Rio Grande Valley, where she serves on the advisory board and was integral to its founding. Editor’s Note: In observance of Women’s History Month, The Monitor is recognizing local women who inspire us. This is the seventh of eight profiles on those who made our 2019 list of “Women We Love,” a series we’ll publish every Monday and Thursday in March.